A super quick post this evening, this is a card I made for my husband for Christmas. I put it together with a mix of scraps I had tucked away. I love all they all came together for this fun card. I am not sure which paper pad this is from but there was not much left. 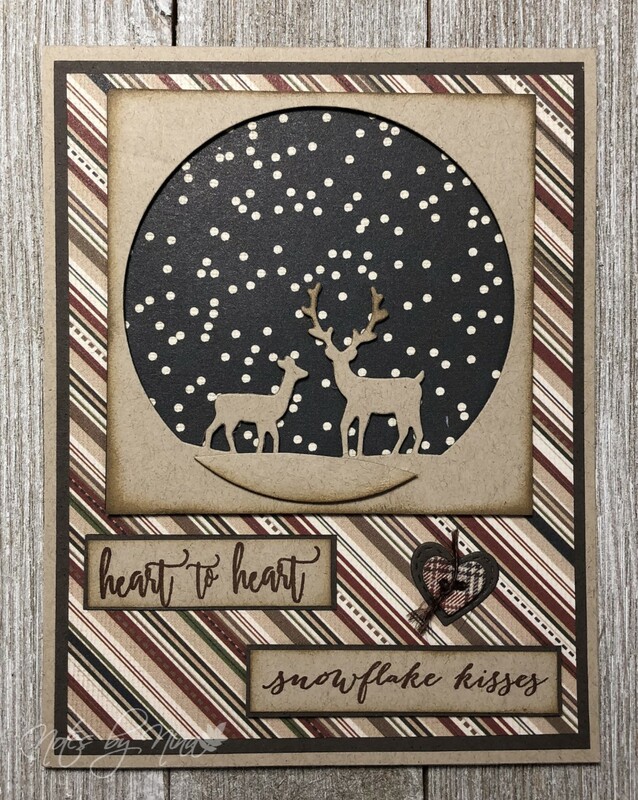 I used brown cardstock to back all the kraft and added some inky edges. The centre panel is popped up with foam tape. I finished with the cute little heart. Supplies: Kraft and brown cardstock, misc die cuts, unknown sentiments.